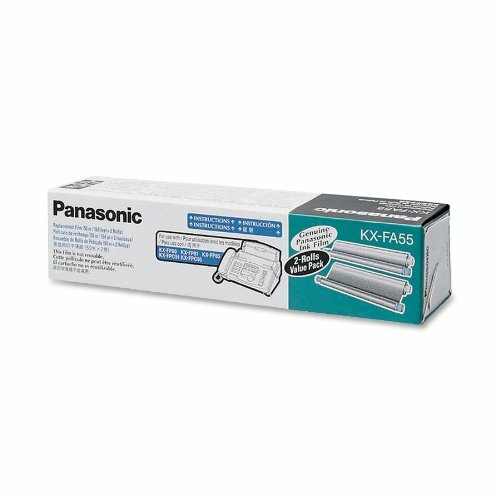 Getting the best performance out of your electronics generally means using brand-name consumables such as the Panasonic KX-FA55 replacement film for your Panasonic thermal print fax machine. Compatible with models KX-FP80, KX-FP81, KX-FP85, KX-FP151, KX-FP152, KX-FP155, KX-FPC91, KX-FPC95, KX-FPC161, KX-FPC165, KX-FPG175, and KX-FPG371, the ink film rolls are 164 feet long, enough for approximately 300 single-sided 8.5-by-11-inch pages. 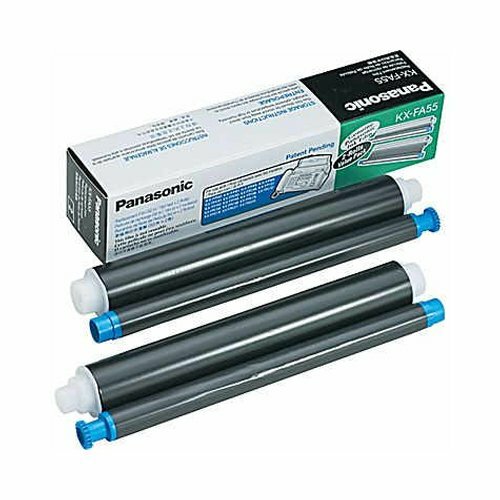 This convenient pack includes two rolls, so you'll have a back up handy if the first runs out unexpectedly. Panasonic backs this product with its 100 percent satisfaction guarantee.